Will the Seagulls adjust to the pace of life in WSL? 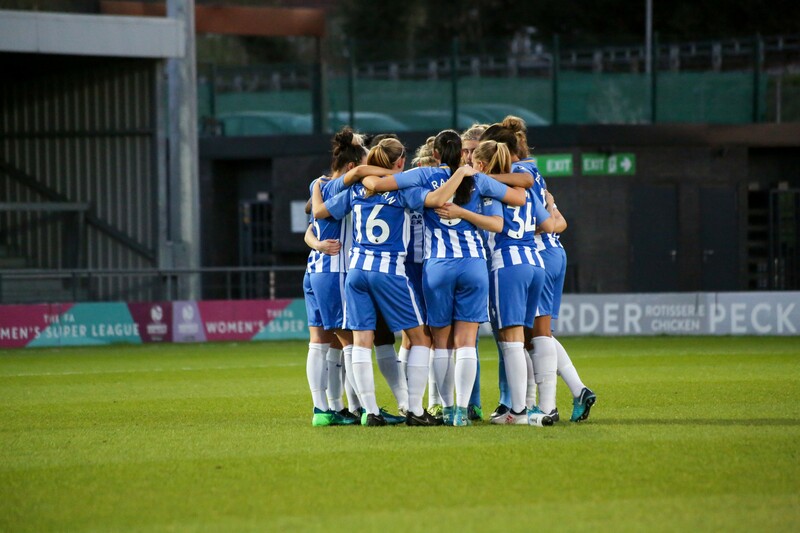 From a WPL play-off win at Adams Park, things have moved fast for the former southern champions and as they face their first season in the top flight, it would be right for Brighton fans to be cautious. Dwelling between the bottom and middle of the national league southern division for most of the last decade, the 2014-15 season saw the Seagulls rise up the ranks, springing back from a seventh-place finish after successive fourths - and undeterred by failing to secure a WSL 2 licence through an open bidding process. Claiming second, three points behind Portsmouth, the East Sussex side went one better the following year and rose to the top, winning subsequent play-off to earn a route into the second tier. The Spring Series gave the new team time to acclimatise to the league, as the side began its overhaul behind the scenes, the club looking for a new manager with more experienced players being added to the squad. The Spring Series, a proverbial testing the waters by dipping a toe, was far from spectacular but it mattered not and the team came back firing for their first full season. With former England manager Hope Powell brought in, the team announced their intentions to bid for a WSL licence, the group on the pitch finding their grove in the league and eventually finishing second. Looking for a competitive edge and experience in the WSL, the squad has again been largely hit by the transfer window, with a notable number of players leaving for Women’s Championship sides. There has been plenty of good news for Brighton fans however as Marie Hourihan has returned on a permanent basis with Sophie Harris recruited as back up from the Bees. Plumbing players from the top tier, Victoria Williams (Sunderland), Jodie Brett (Everton) and Emily Simpkins (Doncaster Belles) have been brought up to strengthen the defence and midfield as Kayleigh Green (Yeovil) and Ellie Brazil (Fiorentina) have been brought in to add firepower. The current squad packed with familiar and established names and faces, who balance out the younger and less experienced players. Having shown an ability to grow as a team and adapt to the challenges faced, as well as a willingness behind the scenes to lift the level of the club to compete with those at the top, the Seagulls look to be here to stay. Like other teams new to the division, the road ahead isn’t likely to be the smoothest with a number of bumps, twists and turns in the near future. But, with the experience in the squad and level of quality Powell can call upon, there is little reason why the team won’t be able to find their footing in good time and hold their own in the league. The cavate with all promoted teams, that things take time, early results need to be put to bed sooner with a view to the future and long-term plans. Please enter your user name or email. Enjoy yourown Customized Newspaper with VAVEL topics' carousels! Don't have an account yet?Create your account here. It takes less than 60 seconds. Use the form below to create your account. Please enter code from email which was sending you.